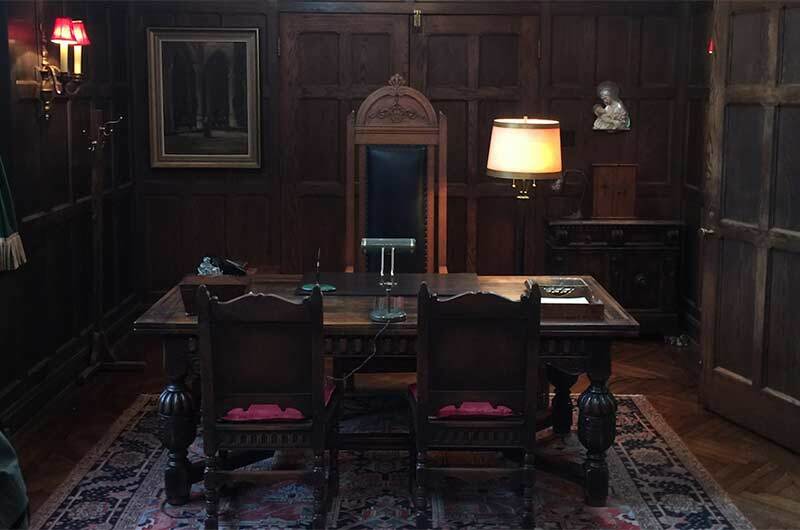 “Melissa Leo, who plays the Reverend Mother, sat in this tall high-backed chair and was dwarfed by it! 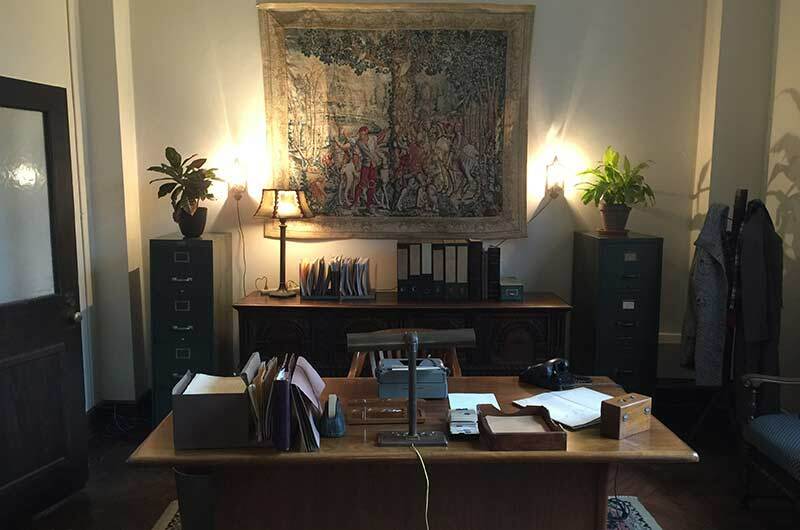 “This office needed to contrast with the dark seriousness of the Reverend Mother's. The soft textural tapestry, plants and wall color add the lightness required. “The location was actually a Methodist church, which had a giant organ across the apse and a large 1970s style wooden cross. 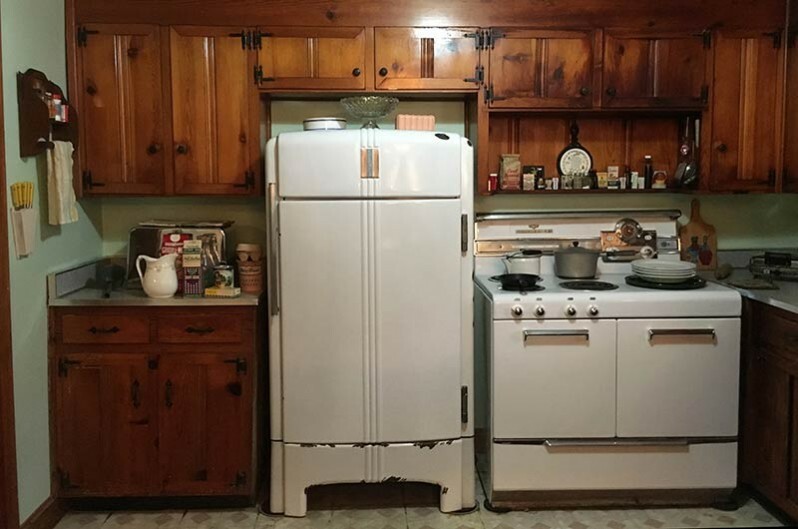 Both needed to be less visible. 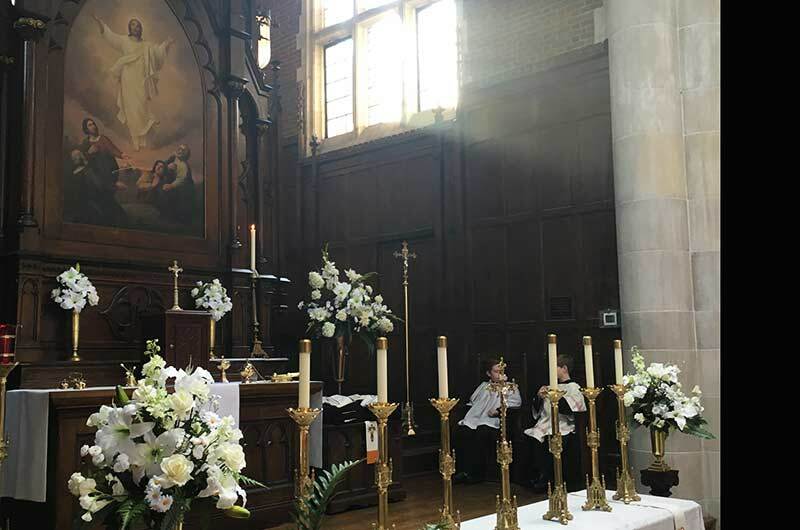 “The altar is dressed with white flowers and ornate gold Crucifix and candlesticks for the ceremony of the Taking of the Veil, the novitiates’ wedding day. 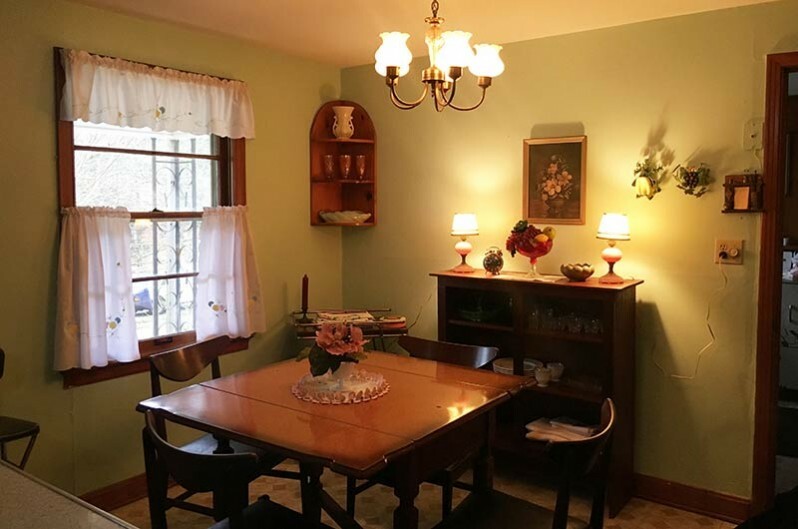 “Here, the pale green color of the walls is a important element helping to invoke the period. 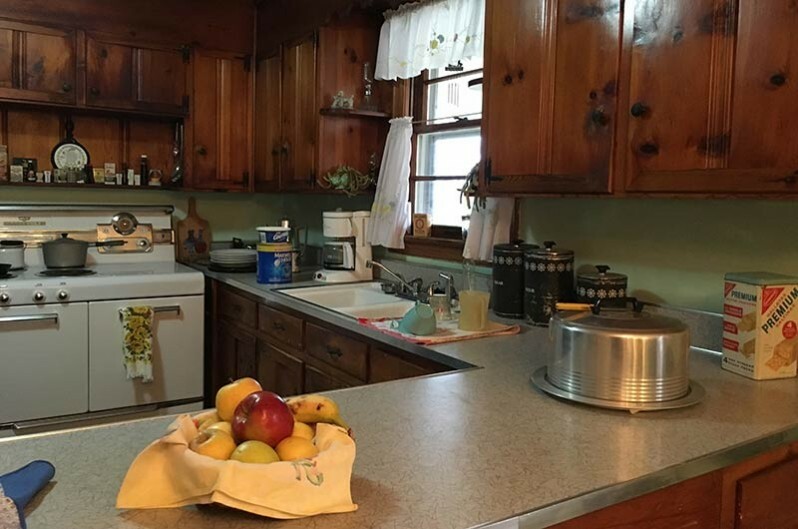 “The location for this set had period-correct Formica countertops with aluminum banding, as well as the great wooden cabinets. “This location kitchen was great for what we were trying to achieve. 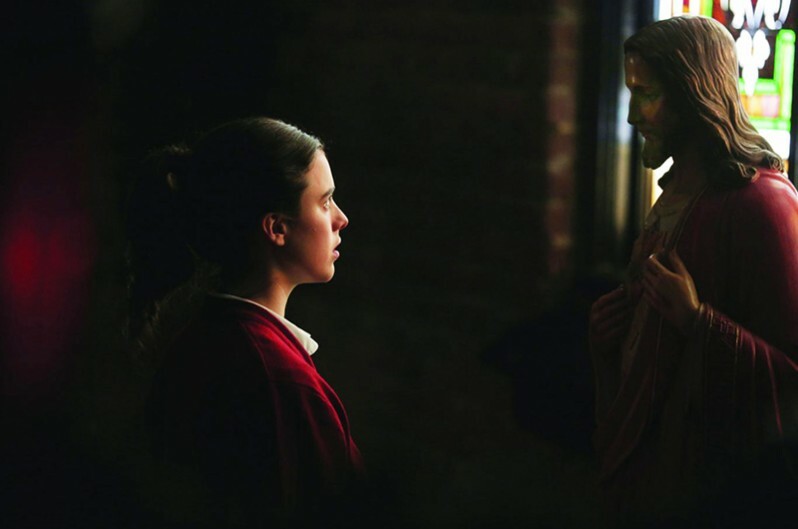 Spanning over a decade from the early 1950s through to the mid-60s, NOVITIATE is about a young girl's first initiation with love, in this case with God. Raised by a non-religious, single mother in rural Tennessee, a scholarship to Catholic school soon finds the girl drawn into the mystery and romanticism, and consequently often harsh challenges, of a life devoted to the worship and servitude of God. Grosso gives us insider notes in the photo captions above. 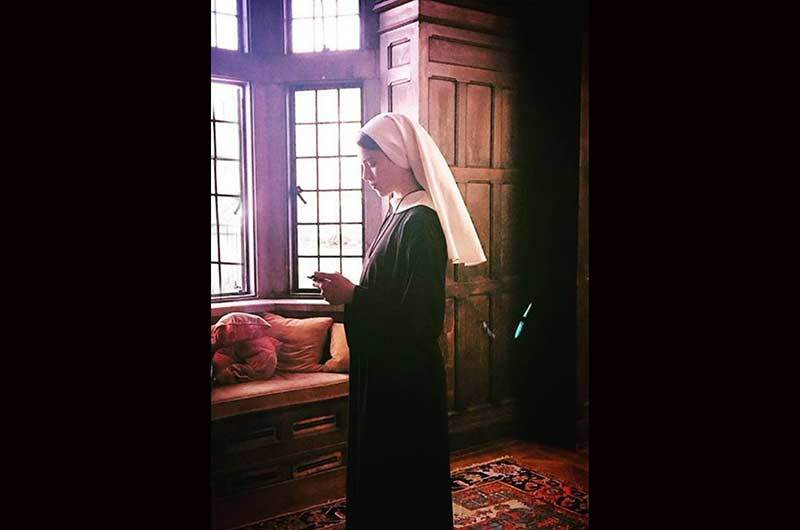 In the early 60's, during a time of upheaval in the Catholic Church, as Vatican II introduced significant changes to church practices, NOVITIATE follows the spiritual journey of a sheltered teenager, Cathleen Harris [Margaret Qualley], as she contemplates a life as a nun. Why does such a young girl seek such a cloistered life? Her simple wish is for love—not a love that requires no sacrifice, but an ideal love for which she must give everything. That wish proves elusive, as we follow the emotional quality of the story through secrecy, cruelty, denial, guilt, honesty, love, pain and understanding. It would seem that the counterpoints in the story would be the young girl, who becomes known as Sister Cathleen, and the one she must answer to, the Reverend Mother [Melissa Leo]. But this is not the case; the true heavy hitters of the story are the Reverend Mother, and Cathleen's single mother, Nora Harris [Julianne Nicholson], who has been left behind. They only share one scene together, but you can feel their influential pull during the whole film, partly because of each of their narrative importance and also because of the knockout performances of Leo and Nicholson. When the film opens we see Cathleen as a child, at church, at school and at home. Her home life is troubled by her parents' fighting, she finds relief in the orderliness of her parochial school and church services. 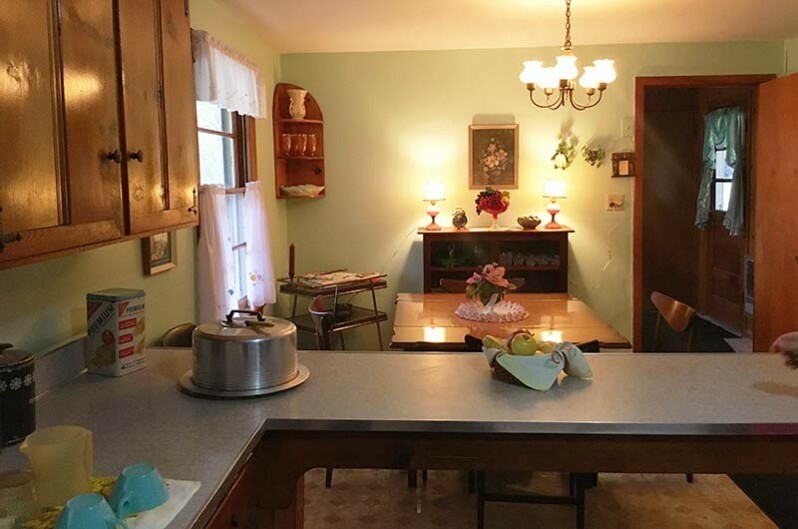 Her mother, Nora, has tried to create a "homey" home, with soft colors and family dinners, yet it is more claustrophobic than pleasant, due to the ragged bitterness emphasized by the harsh lighting. 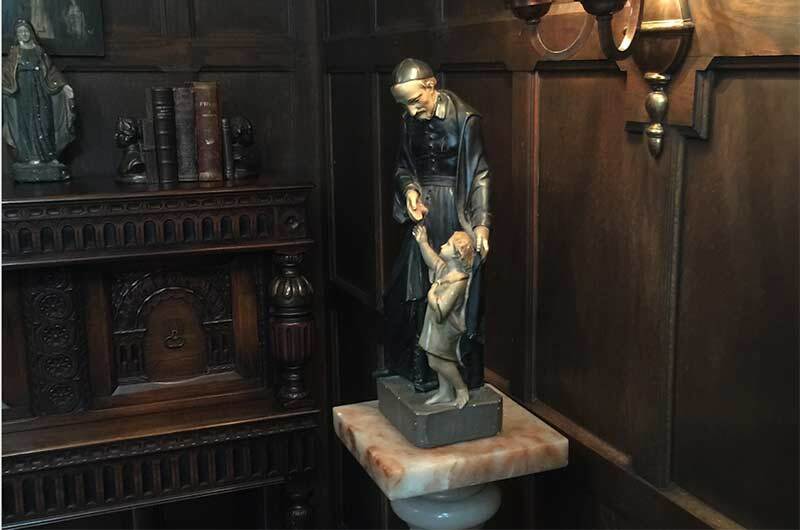 In contrast, all of the scenes taking place in the chapel, church or abbey, are bathed in beautiful, luminous sunlight, which gleams on wood, and glows on skin...and this light serves as the underlying portrayal of divine presence felt throughout the film. 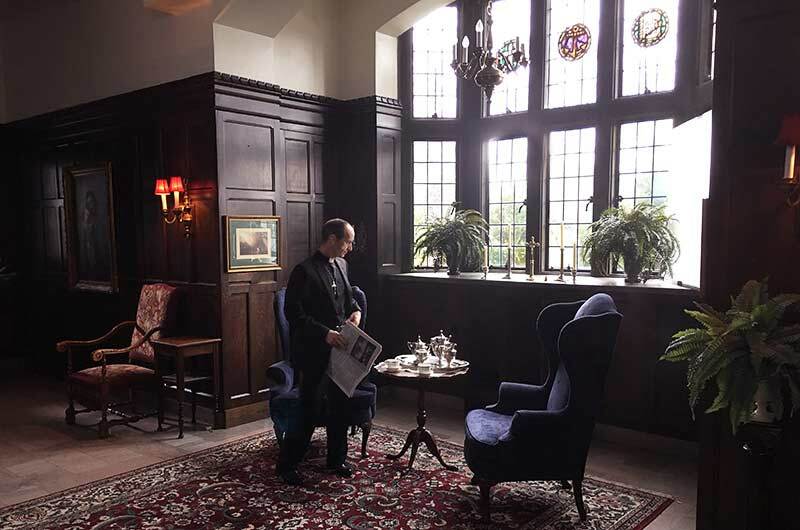 Set Decorator Gia Grosso SDSA and Production Designer John Sanders have emphasized the abbey rituals with their visual choices. 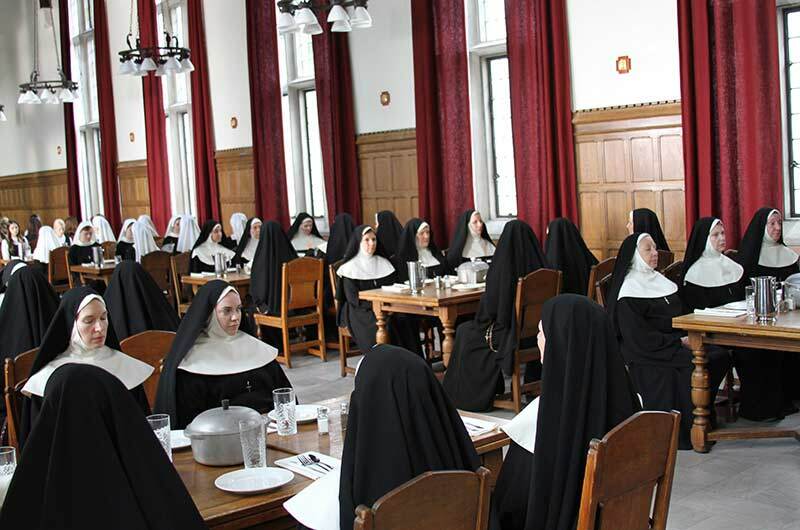 We are told that once novitiates take their final vows, they will never leave the confines of the abbey again. This renders the abbey a place of escape, a refuge...and as such, it is quiet and dignified, with nothing to disturb the mind. What we see, the traditional forms of the architecture and the wearing of habits, reflects the ritualized practices, such as keeping silent and calls to prayer. 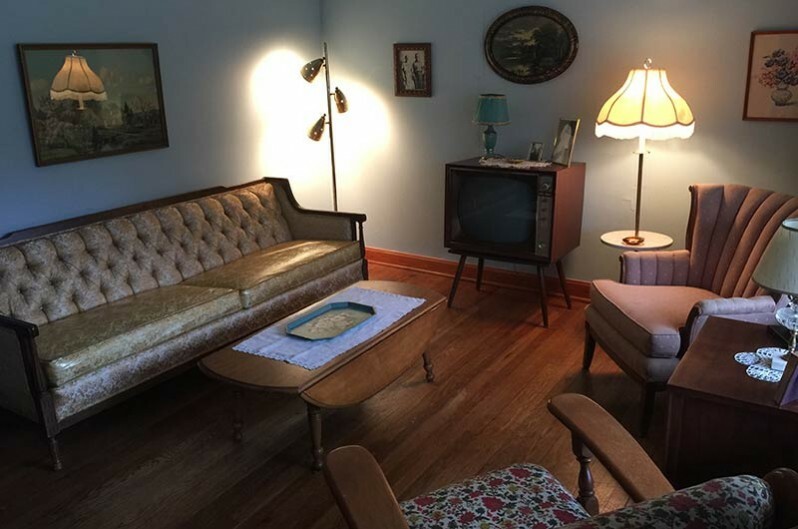 The Reverend Mother's office is carefully appointed, and it exudes the official power that she wields. Sitting purposefully in her office, she looks like a Renaissance painting. 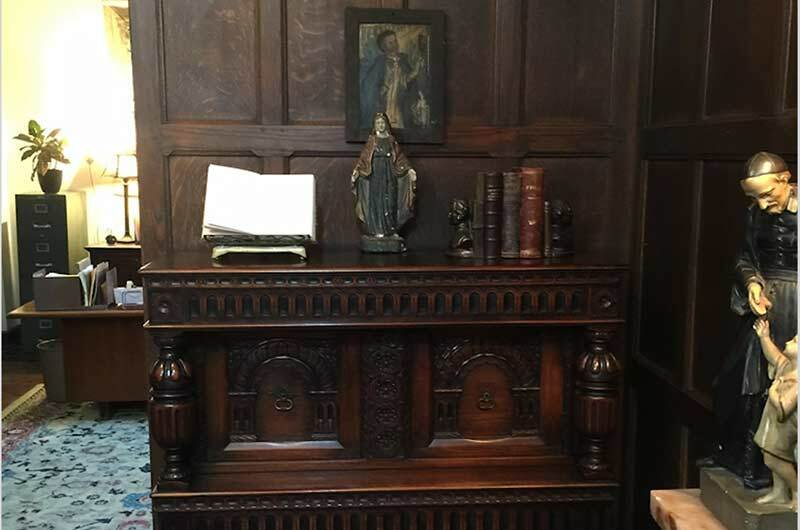 The novitiates’ quarters are spare and serene, with little to distract from prayer. The abbey church is formal and heavy, yet still a sanctuary for those seeking contemplation. 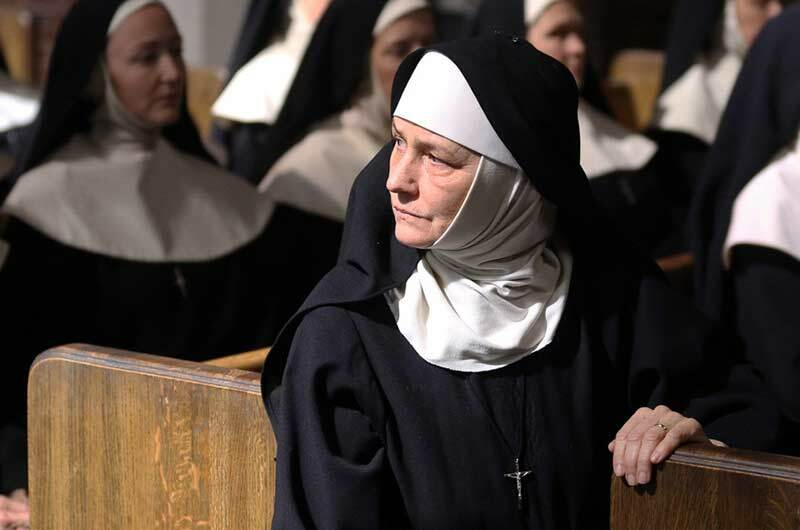 One of the most intense scenes was a reunion visit between Sister Cathleen and her mother. Physically, it was only wire mesh that separated them, but the emotional barrier between mother and daughter couldn't have been wider or more impossible to bridge. The wire mesh reminds the audience that the abbey is not only a place of refuge but also a place of confinement. 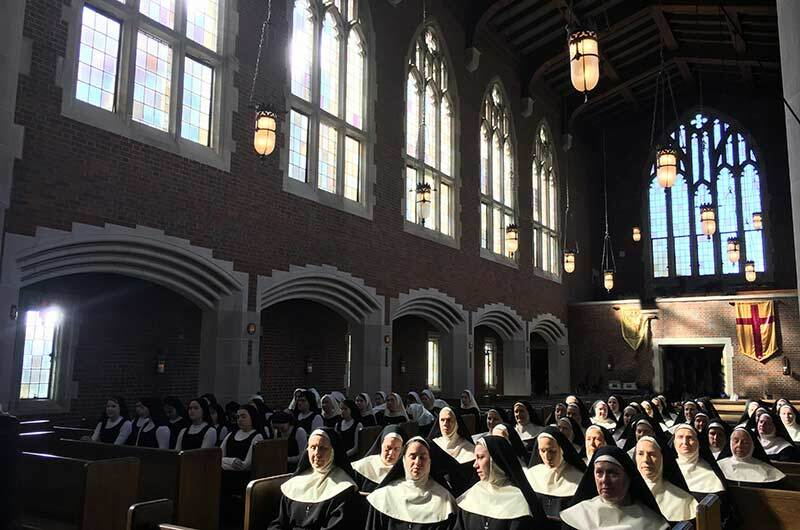 One of the most noticeable design choices was the repetition of high contrasts within a scene, such as the black and white of the nuns' habits, or the bright pools of light against the dark wood. This seemed to reflect a Catholic notion of Good/Evil, or Guilt/Redemption. 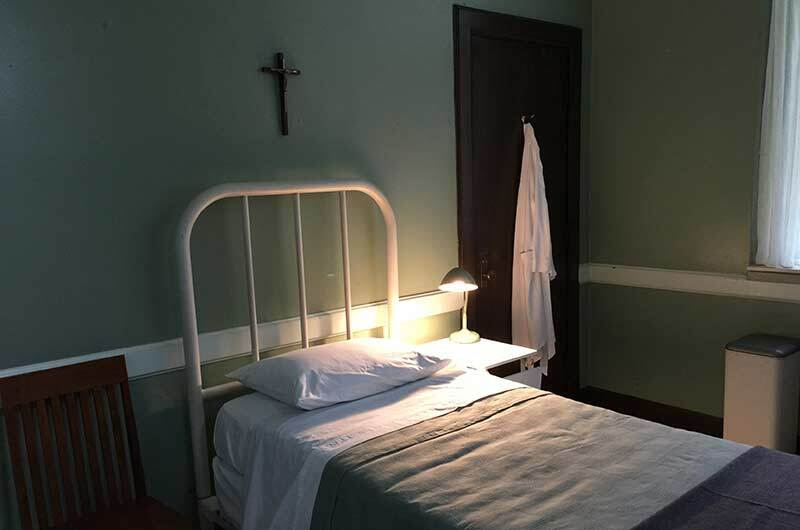 The only scene without the high contrast was the clandestine, late-night, forbidden connection between Sister Cathleen and Sister Emanuel, its palette and lighting dusky, hazy, soft, and desaturated. 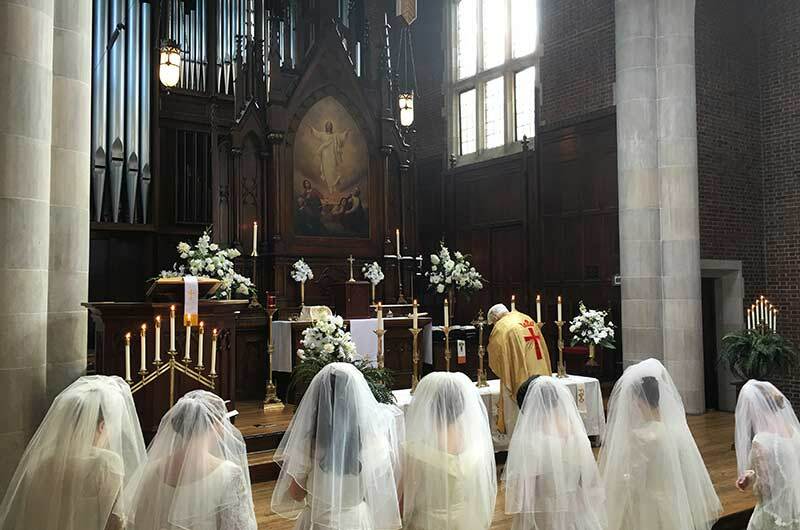 The sets, the performances, the specifics of the rituals, and the nuances of the story all helped tell how Sister Cathleen, in her wedding dress, goes to take her vows to marry God...and comes to terms with her newly found self-knowledge. *Editor’s note: Grosso and Sanders have collaborated often.